BioShield™is powered by NeuroRX™. NeuroRX™was developed by pharmacists with Prescription Strength results… and is a proprietary formula of Portland Outdoors™. Primos® Foggy Bottom™ Pot Calls with Mossy Oak Original Bottomland Camo are offered in both Frictionite or Glass surfaces. Primos Rare Breed™ is offered in both slate or glass surfaces. Comfortable rounded cup fits great in your hand while working a bird. 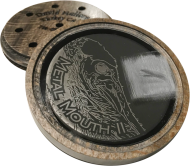 The Morning Striker Owl Hooter will owl hoot with the best of them and is considered one of the best owl hooters in the world of custom game calls! NWTF DD Adams Award Winner! This soft maple and cedar laminate pot is a temptation that old gobblers can not resist. The new Metal Mouth Crystal Features a concave aluminum sound board set in a ebony stained sycamore pot. Grand National and World Calling Champion, Billy Yargus, has teamed up with WoodHaven to introduce his new Blue Vyper Signature Call. Grand National and World Calling Champion, Billy Yargus, has teamed up with WoodHaven to introduce his new Blue Cutter Signature Call. 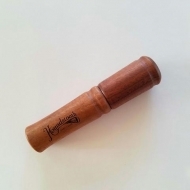 WoodHaven Calls is proud to offer the most authentic sounding kee-kee call in the industry today. 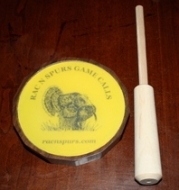 When developing new friction calls, our number one goal is to build calls that continue to raise the bar in sound quality and realism! WoodHaven’s NEW Maple “SPUR Crystal” does just that! It's all about what they can't see. 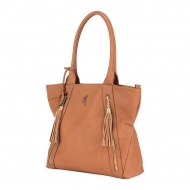 Carry in style with the Alexandria Handbag. Just like our original JEBS High Voltage choke tube design, our Black Nitride waterfowl choke tubes are held to the same quality and durable standards as before.